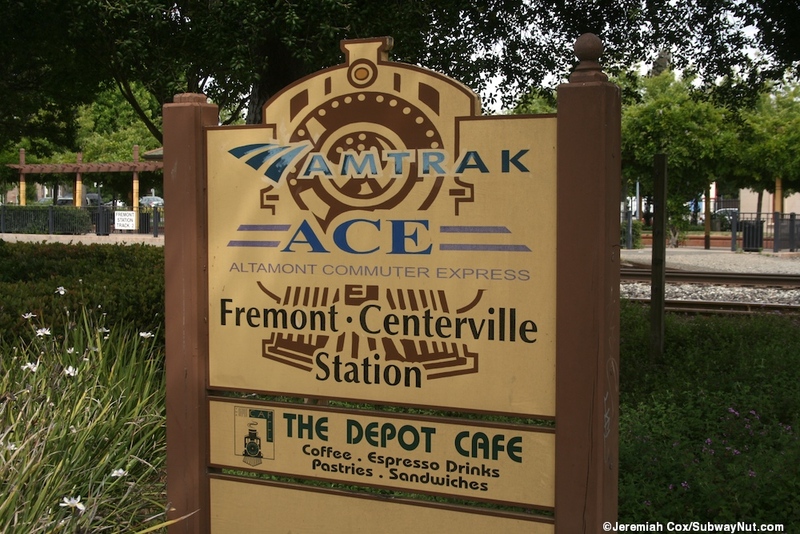 Fremont·Centerville is a historic station with a 1910 depot located on the East Bay and a station stop on all four weekdays ACE round-trips and the seven daily Amtrak Capitol Corridor round-trips to and from San Jose to Sacramento. 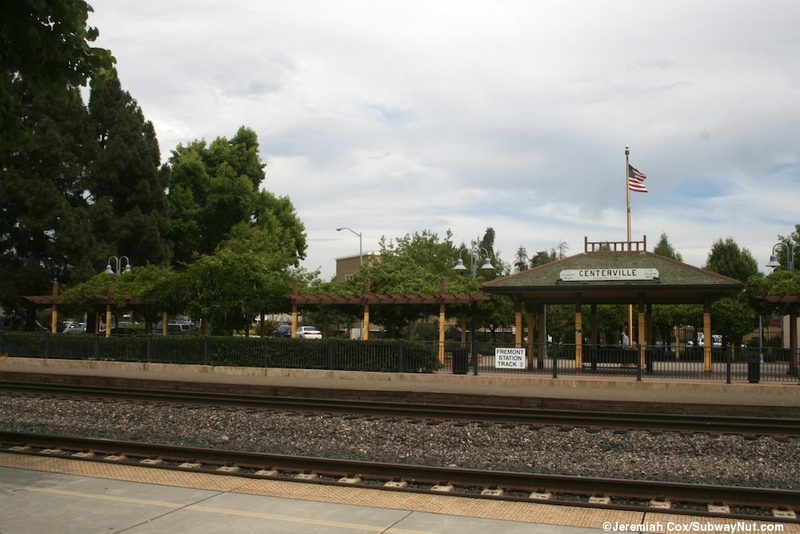 The station first reentered service in the Amtrak era on June 4, 1993 with the then three daily Capitols Trains stopping at just a shelter and platform. 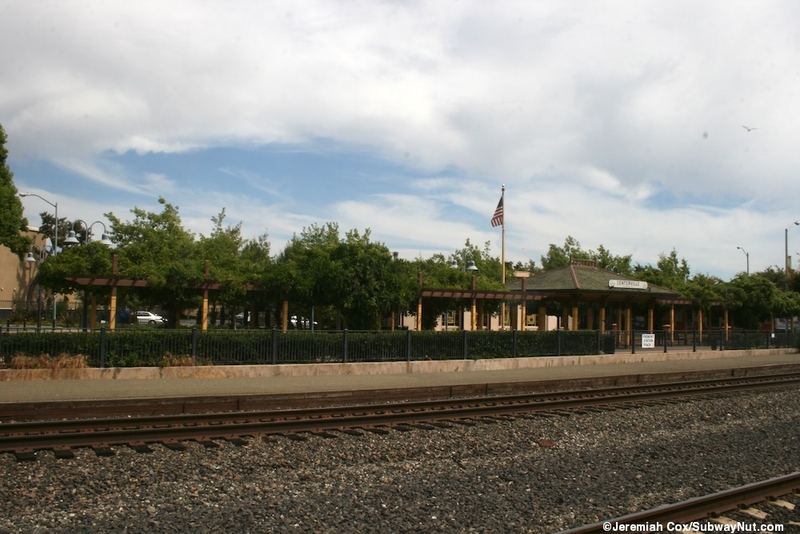 The Coast Starlight has never stopped at this station and doesn't normally even pass the station, taking a different most western alignment via Newark on its non-stop trip from San Jose to Oakland-Jack London Square. 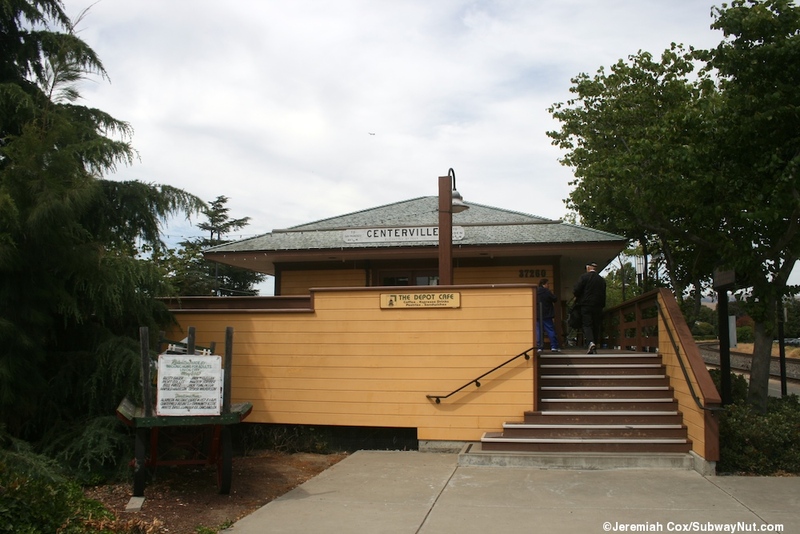 In 1995 the depot was moved across the railroad tracks that began its preservation. 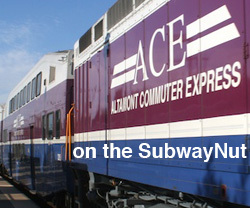 On October 19, 1998 the Altamont Commuter Express began and its initial two daily round-trips began serving the station. 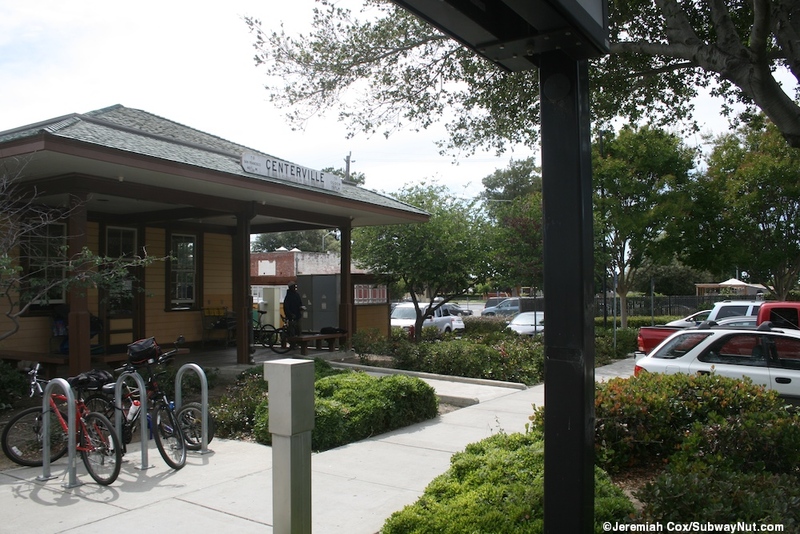 The depot was finally reopened to passenger use with a small unstaffed waiting room (that includes QuikTrak machines) on June 12, 1999. Across the tracks from the depot Bill Ball Plaza was dedicated in 2002 that includes a replica historic wooden canopy structure in the same style as the depot across from it. 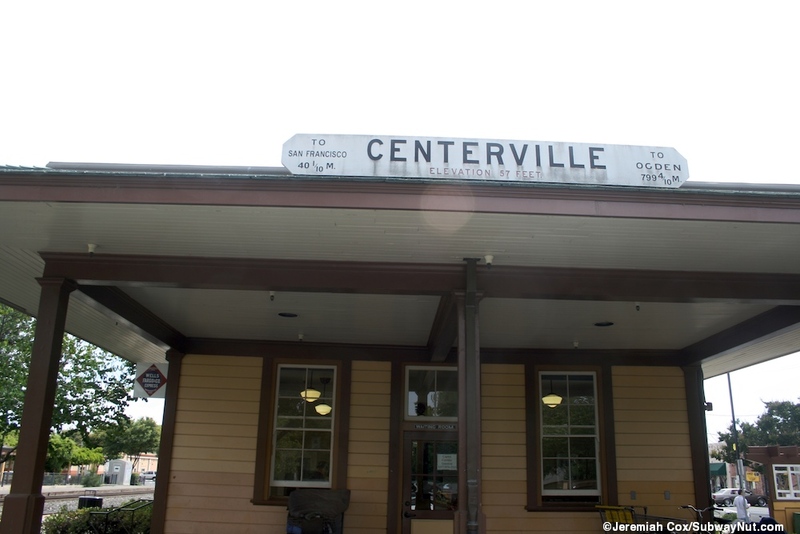 The station name is derived from the fact that the station was built for and originally in the town of Centerville until the city of Fremont annexed it. The station has a confusing mix of name signs. There are old fashioned replica white slights on the historic structures that say Centerville and have the distances to San Francisco (via the now abandoned Dumbarton Rail Bridge) and Ogden, Utah. 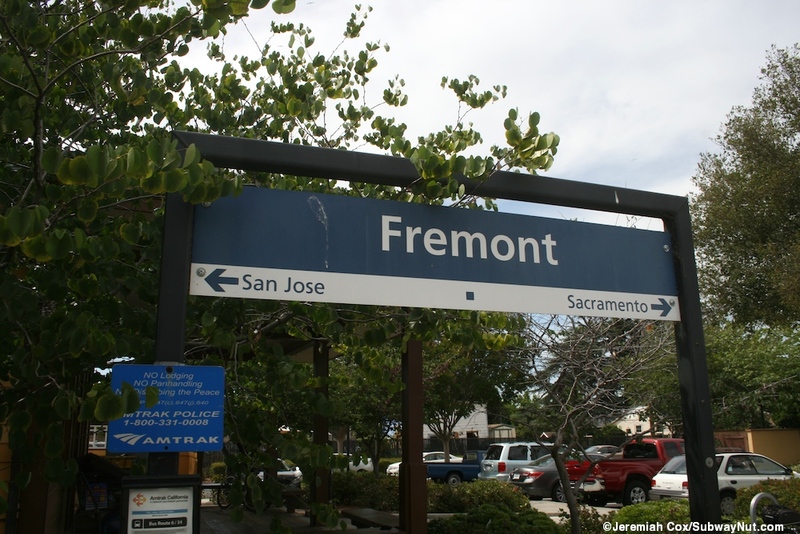 On the platform are also some modern Amtrak signs that say Fremont in white on a blue background with arrows for San Jose and Sacramento. 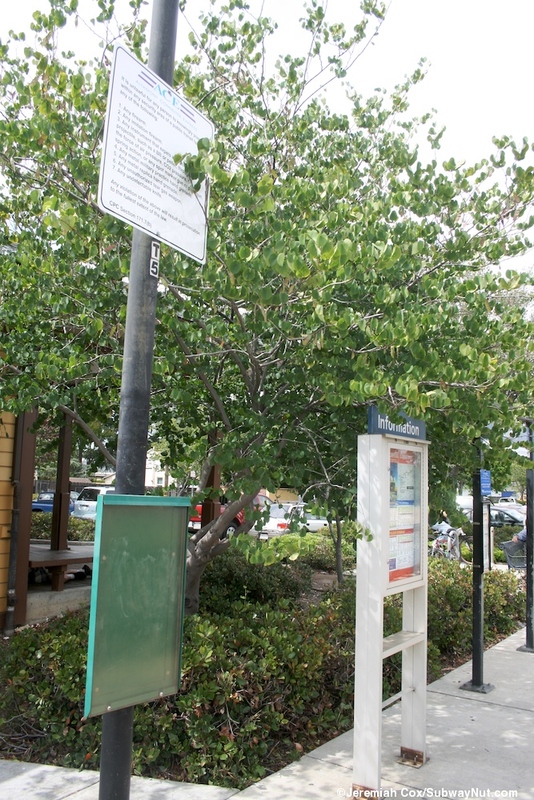 AC Transit Route U Provides connecting service across the Dumbarton Bridge to Palo Alto and Stanford at times that connect with ACE Trains for those commuters (the express buses aren't primarily used by ACE passengers unlike most buses that connect with ACE). There is a sign directing passengers to the station has the emblem of a trolley, not a train with Amtrak beneath. 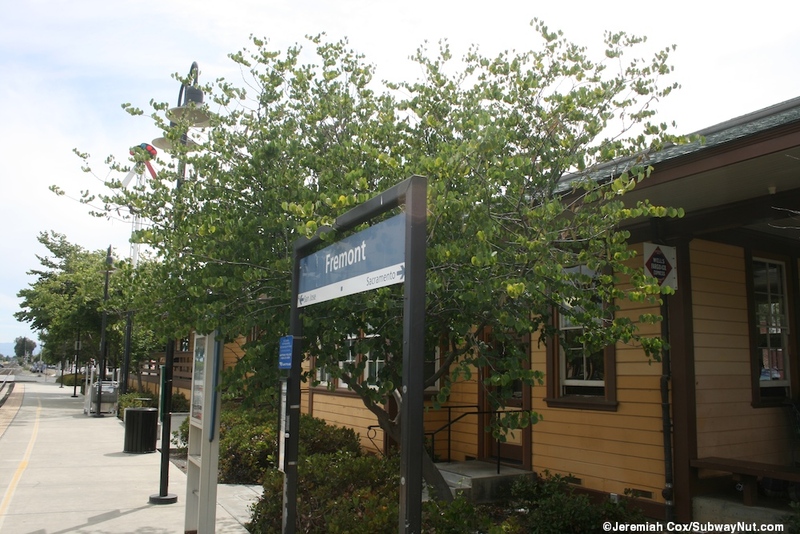 The station itself has two tracks with only one normally used low-level side platform along track 1 (the west track) that begins at the grade crossing of Fremont Blvd and runs north along a gentle curve. Track 2 has a bit of a concrete platform with a faded yellow line and lacks tactile warning strips. It has been used on occasion by Amtrak Capitol Corridor trains when another train is stopped at Track 1. ACE always uses track 1. 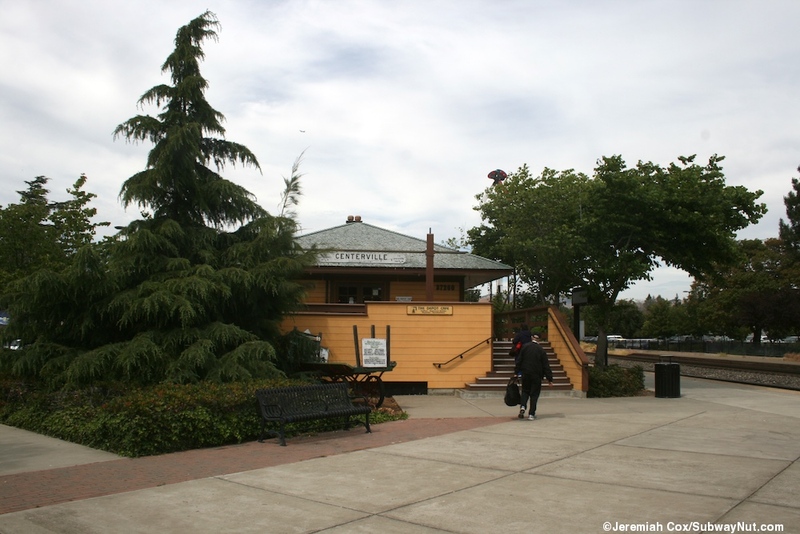 Along track 2 is the replica SP Yellow shelter structure and Bill Ball Civic Plaza. A fence separates this shelter from the makeshift platform, although there is plenty of space to build a second platform for track 2 if ridership and operations requires it. 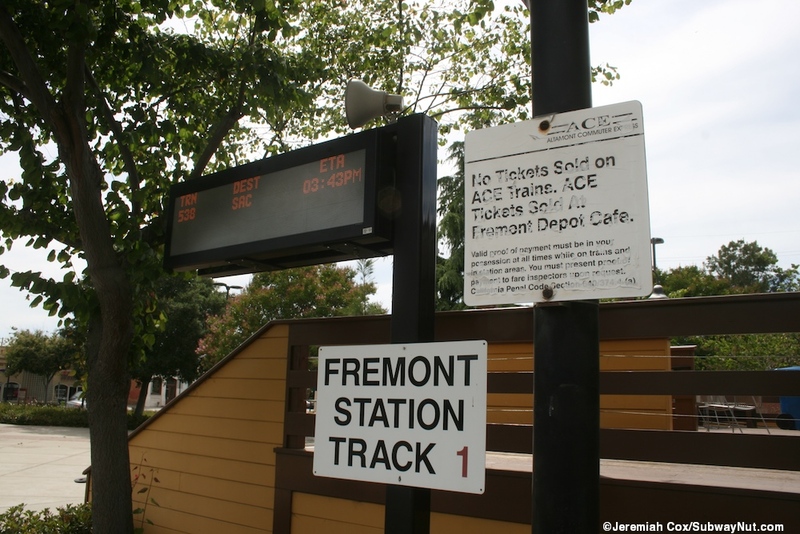 A single simple sign labels each platform as Fremont Station Track 1 or Track 2. I assume that if a train is stopping at track 2 the command center can send an announcement through the system that runs the monitors that list Trn-Dest and ETA for all Capitol Corridor and Amtrak Trains. 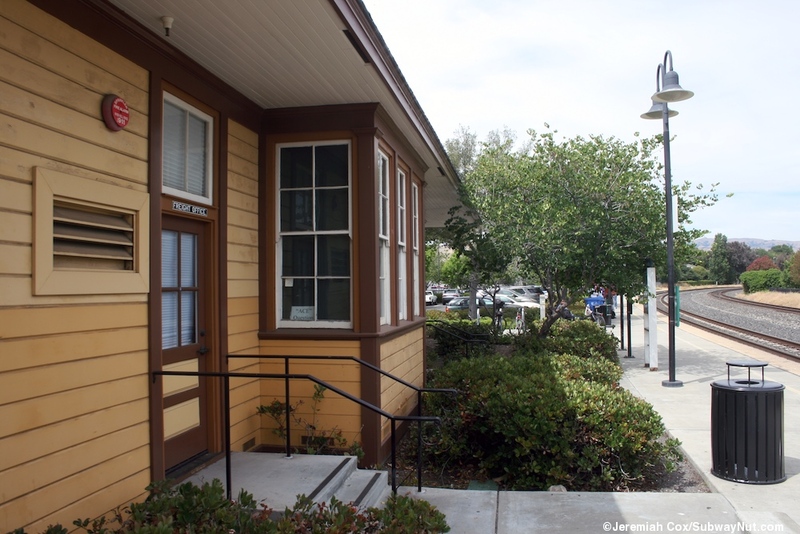 Track 1 has the historic single-story SP depot along it that is painted SP Dark Yellow with SP Samoa Brown trim. The depot is near the grade-crossing but not quite at it with a plaza outside the station, steps and ramps lead into the various rooms of the depot that are slightly above ground level. It is parallel to Walton Avenue. A semaphore single is outside the depot. 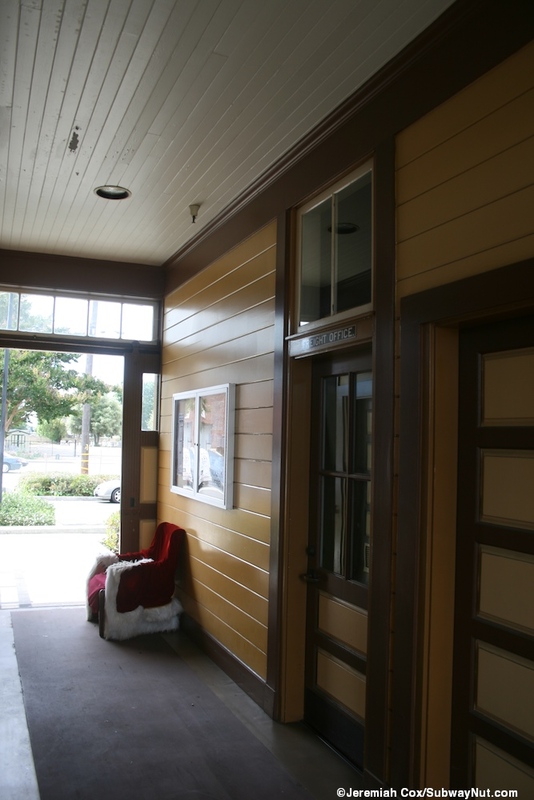 Inside in the southern wing and taking up most of the building is in The Depot Diner. This cafe has an old fashioned counter with the former counter from the Cloverdale Creamery and vintage Coca-Cola signs. 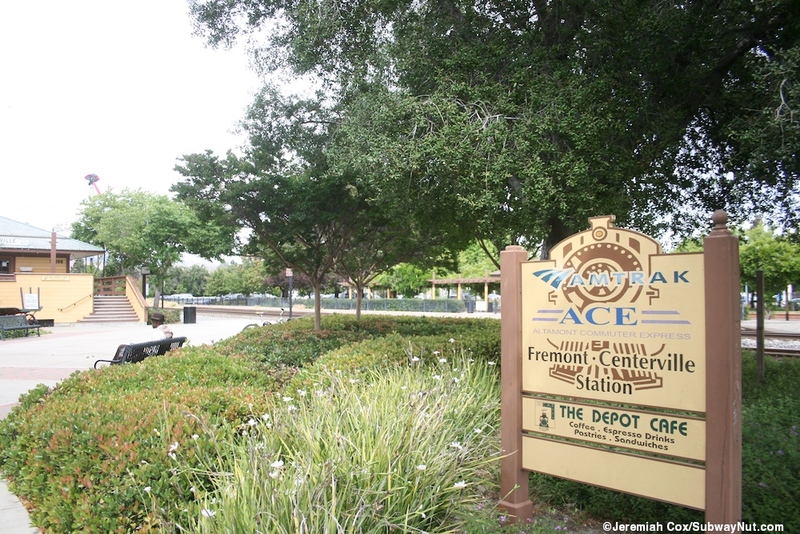 The the ACE Rail rider the depot is important because it is the only seller of ACE tickets at the station. 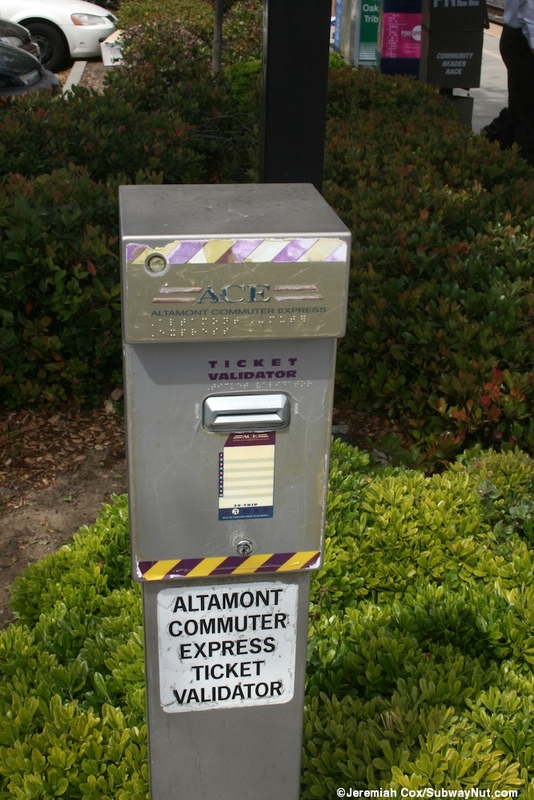 ACE passengers have the option to validate there tickets at a validator inside the diner or a couple outside on the platform. At the northern end of the depot is a smaller room, that is the unstaffed waiting room for Amtrak. This room has benches and historical displays along the walls. 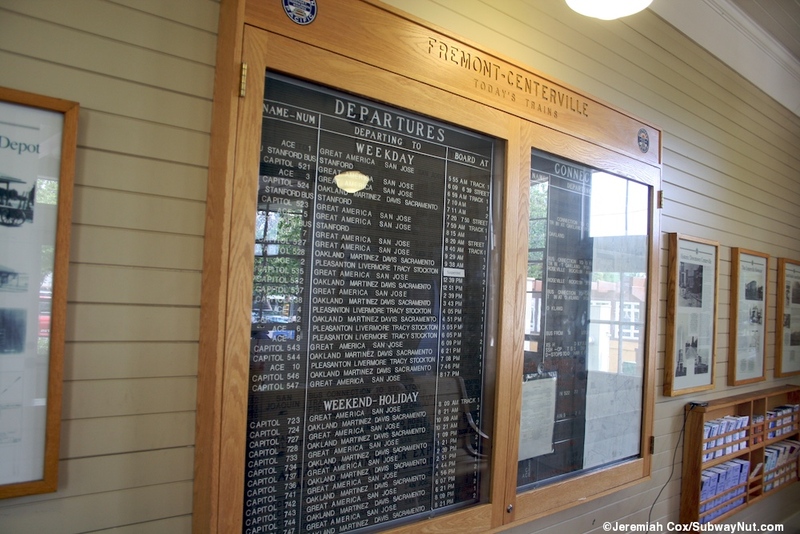 A felt letter cabinet lists the full schedule of ACE and Capitol Corridor Trains and even includes AC Transit U Transbay Buses to Stanford. These run peak direction, to Stanford AM, from PM rush hours only. I have a feeling these buses were included as a bit of a remembrance to the Dumbarton Rail Bridge and trains that used to run from Fremont to Palo Alto. Continuing north from the depot, a parking lot forms between the platform and Walton Avenue with 125 spaces for train riders. 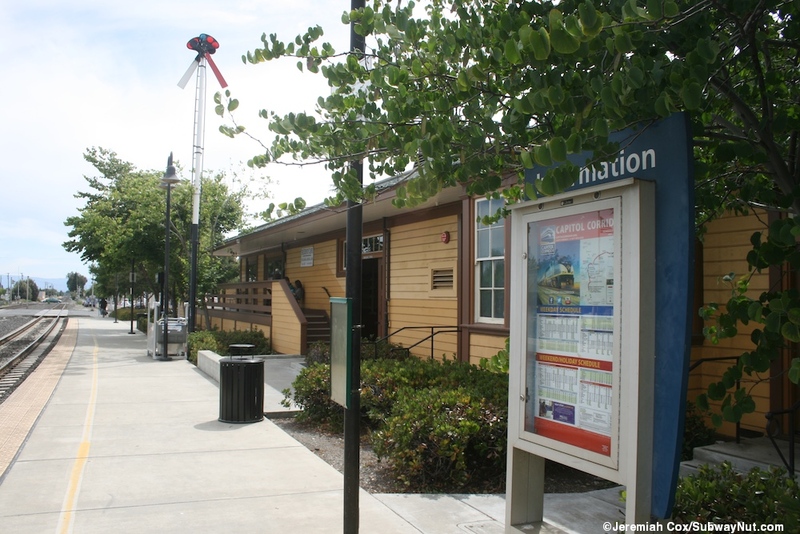 The only other amenity on the platform is a small shelter structure that has a gabled roof and is painted in the same colors as the depot. Along it are a few benches for waiting passengers. 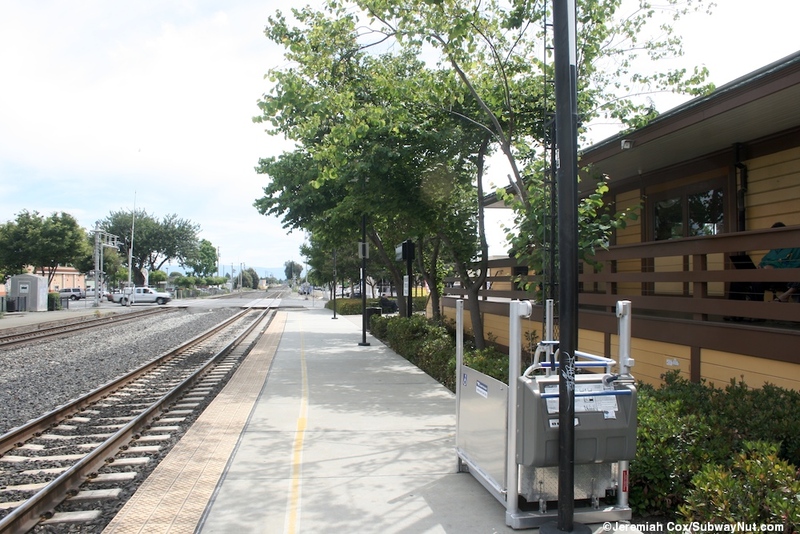 There is also a fenced off enclosure that once had a mobile-lift that is now at a different place closer to the depot sitting on the platform. 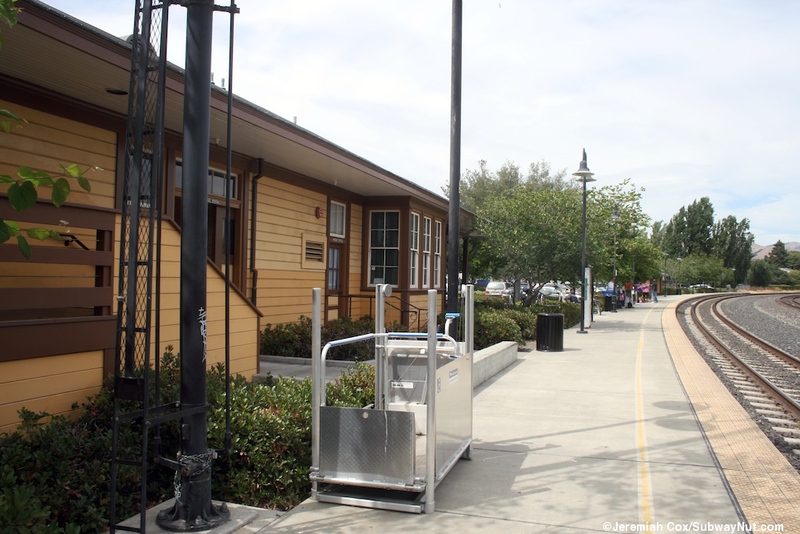 The station doesn't fully need a mobile lift since Capitol Corridor trains are two-levels and include on board wheelchair lifts. Originally though when the Capitols first began they used Horizon Cars needed the lifts at every station for ADA compliancy.